Can you tell me how much did you spend on the Auto to manual Conversion?? esta muy bonito tu auto... espro te uste el mio..
Anyways, good luck with the sale! Clean car girl, keep up the good work with it. Thanks for the info,yah not worth it ,unless i go to acura 3.2 type s and yous 6 speed . 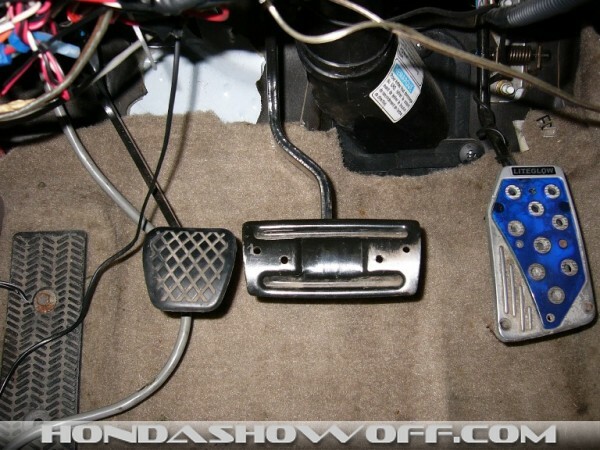 Hey, did you do your 5-speed conversion yourself? If so, how hard was it? I'm really wanting to do one on my Integra soon, and I figured since you're close to me you could give me some tips or tell me where you got yours done. Oh, and do you guys still meet up in Dearborn and hang out on the weekends? well if you love cars than you would at least modify your car the TRUE way of how cars are suppose to be modified. 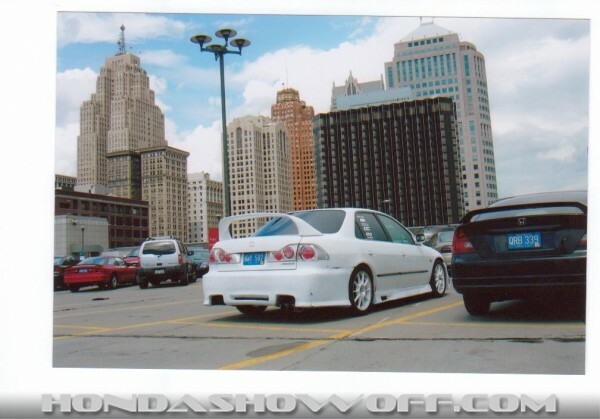 putting dumb huge wings, and super huge bodykits does no good what so ever to your car but giving other honda's a bad REP. and i can guarantee you that alot of people will give your car a dirty stare when they see it. 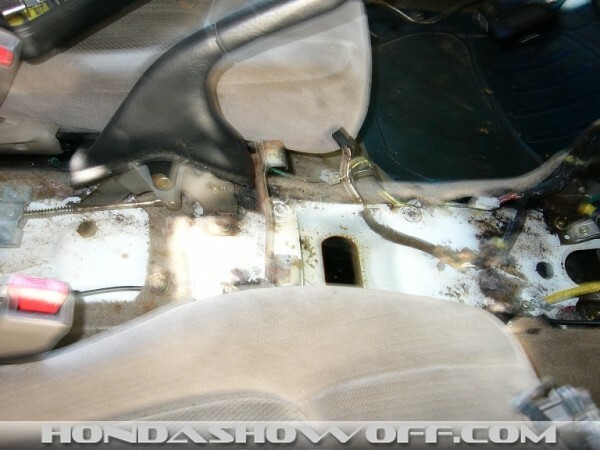 If you knew anything about the honda scene, then you would have some sense of knowledge about the whole car scene. 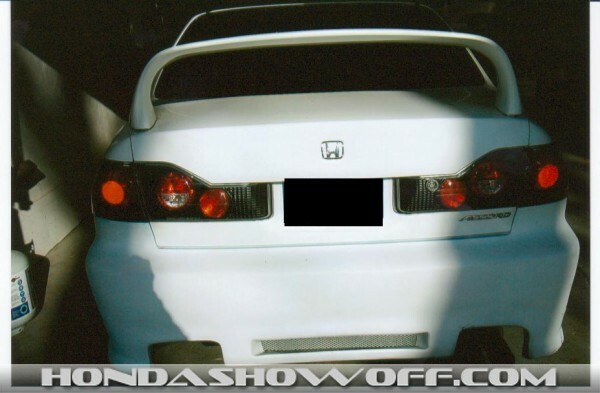 Honda tuners are suppose to prove other car enthusiasts honda have fast potential and "look good" potential. I dont know what your trying to gain in the car world, but you gain little respect from others with your mods. and if 22 years old is little kid to you then you most be some old hag trying to fit whats right for your car. i'm sorry that i had to bag on your car like this, but im just trying to help you out on doing whats right for your car. it may be personal preference and opinion but you have some horrible bad taste opinion. NICE CAR GIRL. KEEP UP THE GOOD WORK!!!!!!!!!!! Because that wing has absolutely no purpose on your car. it doesnt make ur car handle better or faster. just makes it looks plain stupid. then you have a blitz sytel front bumper that fits like a$$. your car gives other imports a bad reflection to the whole car tuning industry. ive seen worster but please google JDM when you have time. d@mn girl, did u buy that car that way, cause if you didnt then you are going the wrong route. most likely u will not get that Girl respect from alot of guys. and what might you be runnin...? So you've got like a group of people you hang out with? That's cool, maybe I will have to come down and check it out sometime. Nah I've never raced my car besides the occasional highway run with an annoying ricer, lol. Do you race your car at the tracks? I'm going to be doing some suspension work as my next step on the Integra and I was thinking about signing up for a few auto-x events just to see what it's like. Do you know any place around the Detroit area where they do that? Hey, nice accord! Where are you at in Michigan? I'm in Oxford, about 45 mins north of Detroit. Check out my Teggy some time! nice accord. I like the white you got girl. do you want the "I Love My Honda" sticker. I cant give it to you. I've been to the races acouple times. I've only been to the ones on Warren though. You ever been to the races on jefferson in front of the fire station? I tried to go like twice and each time I get there, the cops are already there! Hey watsup I live close to Redford and I dont think I've ever seen your car around. You ever hang out at 50's on Telegraph in the summer? HEY WHATS UP I WAS JUST MESSING WITH YOU. BUT YOUR RIDE DOES LOCK CLEAN GET BACK TO ME LATER. Ireally like the Accord. White is a great color. The body kit is a little too aggressive for my taste, but it flows nicely on the car. Would like to see some engine pics. If someone has a white car and a clean engine bay, then there is nothing that looks better. VERY hard to maintain. Keep it up. honda girl we all know u r a honda boy!!!!!!!!!!!!!!!!!!!!!!!!!!!!!!!!!!!!!!. and what's up with the first pi<. man! Honda girl i know u r a boy!!!!!!!!!!!!!!!!!!!!!!!!!!!!!!!!!!!!!!!!!!!!!!!!!!!!!!!!!!!!!!!!!!!!!!!!!!!!!!!!!!!!!!!!!!!!!!!!!!!!!!!!!!!!!!!!!!!!!!!!! THANKS 4 THA COMMENT ON MY RIDE!! YOUR RIDE LOOKS SWEET TOO!!! HEY......NICE TO SEE OTHER CHICKS FIXING THEIR RIDES UP LIKE I AM. IT SURE IS NICE 2 SEE ANOTHER CHICK WITH THE SAME CAR AND HAS SIMILAR TASTE IN RIDES LIKE I DO!!! KEEP GOING.... YOUR DOING A GREAT JOB!!! LOVE 2 CHAT MORE ABOUT YOUR IDEAS ALSO!!! DROP ME A LINE!!! to be honest.. i like everything you done to your car but i dont like da the wing.. but thats jus me.. but well done bro your car looks good..